WINNER OF THE KITSCHIES RED TENTACLE AWARD FOR MOST PROGRESSIVE, INTELLIGENT AND ENTERTAINING SPECULATIVE NOVEL Stan and Charmaine are a married couple trying to stay afloat in the midst of economic and social collapse. Living in their car, surviving on tips from Charmaine's job at a dive bar, they're increasingly vulnerable to roving gangs, and in a rather desperate state. So when they see an advertisement for the Positron Project in the town of Consilience - a `social experiment' offering stable jobs and a home of their own - they sign up immediately. All they have to do in return for this suburban paradise is give up their freedom every second month, swapping their home for a prison cell. At first, all is well. But slowly, unknown to the other, Stan and Charmaine develop a passionate obsession with their counterparts, the couple that occupy their home when they are in prison. Soon the pressures of conformity, mistrust, guilt and sexual desire take over, and Positron looks less like a prayer answered and more like a chilling prophecy fulfilled. 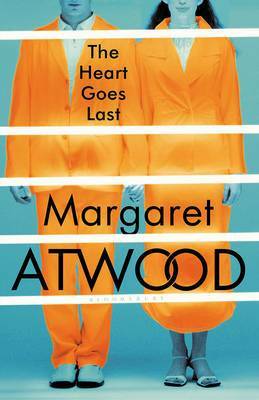 A sinister, wickedly funny novel about a near-future in which the lawful are locked up and the lawless roam free, The Heart Goes Last is Margaret Atwood at her heart-stopping best.